Best hooks on the market. Been using for a few years after trying many other hook manufacturers on the market! Super sharp out the packet and the edge design give the hold of barbed but with super ease of removal as well! Honestly the best bit of tackle in my box! Strong, versatile and seem to stay sharp forever! 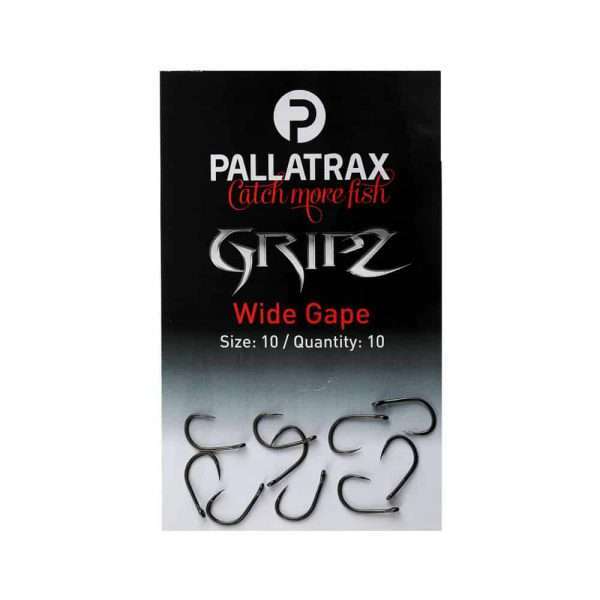 The ‘spade’ edge catches on to and hooks anything, fingers, thumbs, clothes, bait bags.. and fish! Excellent hookhold but easy to remove from the fish’s mouth – if it hasn’t already come out in the net, once the pressure comes off. If you have to rely on one hook – it should be this one. I bought some size 10 hooks at the end of August. They are incredibly sharp and strong. importantly they stay sharp even on gravelly bottom of rivers such as the Wye. I would certainly recommend them without hesitation.